Numerous road accidents happen every day. They vary in degree and severity and cause damage to property, injuries and even claim lives. According to the Association for Safe International Road Travel, around 1.3 million die yearly due to road crashes, which is about an average of 3,287 casualties in a day. In addition, there are about 20 to 50 million injuries or disabilities caused by car crashes around the world. In the US, over 37,000 people die in road crashes each year and an additional 2.35 million are injured or disabled. Collision damages, whether minor or major, are a result of road accidents. 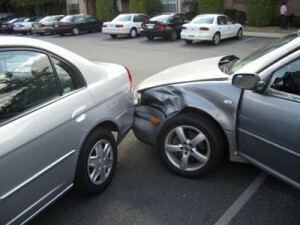 Depending on the type of collision, cars suffer either a major or minor collision damage. Different factor contribute to the severity of damage like road types and characteristics, weather conditions, traffic controls, type, size and shape of car and the speed to which it is driving, angle and direction of both vehicles upon the impact and the persons involved and their physical condition while driving. Usually, what sets a major collision damage from a minor collision damage is the depth and extent of damage. To help you assess the extent of collision damage on your vehicle, it is best to contact and consult your auto body repair company.